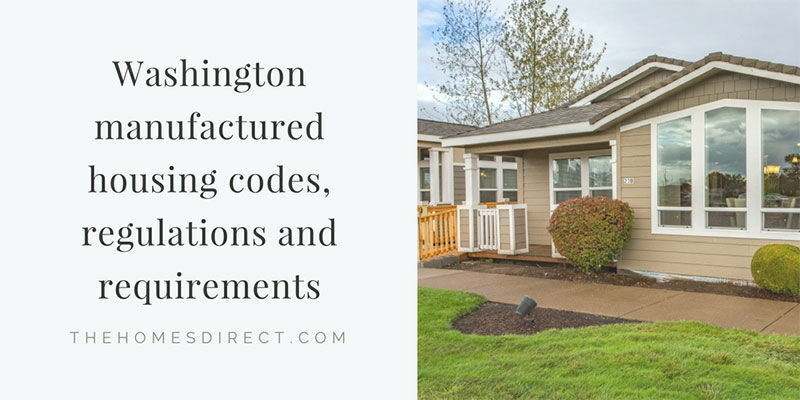 This article discusses the many laws and regulations that govern the installation of manufactured housing in the state of Washington. The State of Washington welcomes manufactured housing since it is an inexpensive way for families to obtain affordable housing which would otherwise not exist. While the State has many laws and regulations that govern the installation of manufactured housing, one important law is the prohibition against local governments passing ordinances that would be more restrictive than those applicable to site built homes. This means that manufactured housing cannot be discriminated against by the passing of any restriction that would place the manufactured home in a difficult situation which a site-built home would not encounter. By legislative action, a manufactured home park must have at least two homes. Of course, a manufactured home can be installed on private land under the same conditions as apply to homes set in a park. However, when the installation is to be on private land, the zoning ordinances should be checked. It should be noted that local governments may by State law exercise their authority to prescribe the frost depth and soil bearing capacity at the installation site. This would impact the construction of the foundation. Snow loads and wind intensity can also be a consideration in local governments creating building ordinances. A manufactured home will be required to comply with any local design standards that apply to all homes in the area. Homes must also be thermally equivalent to the state energy code. Local zone requirements, building setback, local fire zones, building setback, rear and side yard size requirements, site development and property line requirements are within the jurisdiction of local governments as well as the review and regulation of architectural and aesthetic requirements. To assist in applying the State laws, the State has defined what a manufactured home is, and the requirements for a "designated manufactured home" is provided for in RCW 35.63.160. A "designated manufactured home" is a home that includes at least two sections. 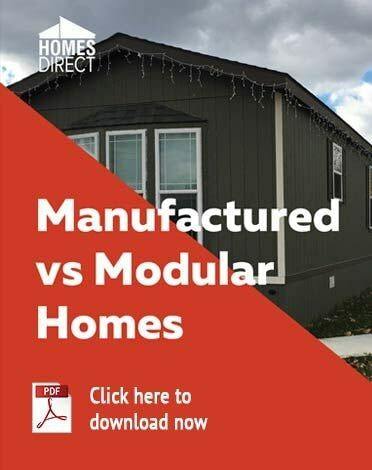 While it may seem unusual to describe a “designated manufactured home” local jurisdictions can regulate "single-wide" manufactured homes without considering other types of site built homes in the area. RCW stands for the Revised Code of Washington. Constructed with a composition or wood shake or shingle, coated metal, or similar roofing material with a nominal 3:12 pitch. Constructed with exterior siding that is similar in appearance to siding materials commonly used on site-built single-family homes. The Factory Assembled Structures Advisory Board works in consultation with the Director of the Department of Labor and Industry to promulgate rules that establish uniform standards for the performance and workmanship of manufactured home installation service. RCW 46.04.302 provides for the establishment of standards for the performance warranty service. Washington has chosen to stipulate that the manufactured home is to be set on a permanent foundation in the manner specified by the manufacturer. This does not mean that the home is permanently set and cannot be moved. The State requires that the space from the bottom of the home to the ground be enclosed by an approved concrete product or by concrete which can be either decorative or load bearing. Proper ventilation and access points must be created in the enclosure. Skirting is left to the local jurisdictions. The State installation procedures specify that every manufactured home must be tied down according to the specifications of the manufacturer and the local government. Local jurisdictions have some authority over assessing the frost depth and the soil bearing capacity at the installation site. Most manufacturers specify the installation is on soil that can sustain at least 1500 pounds per square foot. If the installer is unsure of the soil capacity then a soil bearing capacity should be tested by a testing lab. An example of a County installation procedure that also includes site preparation can be found here. This site describes the county’s required installation procedure which includes the foundation and support system. A county can prescribe more stringent installation procedures if it believes that failure to do so would pose an adverse risk. Washington is one of the few states that follows the rules established by ANSI" which is the American National Standards Institute, Inc. ANSI has established installation rules which are applicable to manufactured homes. (ANSI A225.1 5/28/2015 10:01 AM [ 2 ] NOT FOR FILING OTS-7172.2 Manufactured Homes Installation.) Thus, the ANSI installation rules are followed in concert with those specified by the manufacturer. Washington has created the Installer Certification Program which trains and certifies all individuals who install manufactured homes. This program not only provides training for installers but it also conducts testing of the people who are trained. This program also provides assistance to consumers who have been harmed by an installation that was not done properly. The HUD Code relies on a manufactured home inspection agency to conduct in-plant inspections while the home is being constructed. However, HUD has approved Washington’s Department of Labor and Industries to inspect all homes destined for Washington. The Department’s inspectors are highly trained and they ensure that every home shipped to Washington is of very high quality. Local jurisdictions are responsible for the inspection of the installation and utility hookups. Dealers and manufacturers are forbidden to ship a manufactured home until every required permit has been obtained. Manufactured homeowner associations exist in Washington. The following are the largest statewide tenant advocacy organizations. These organizations work to protect the rights of manufactured homeowners who live in a manufactured home park. Its efforts have been successful, but there is more objectives on agenda. There is enough information on these websites to help you decide if you want to become a member. Keep in mind that these organizations are adversaries in their relationship with park ownership. This website is sponsored by the Northwest Justice Project to explain the Manufactured/Mobile Home Landlord-Tenant Act, ("MHLTA" sometimes called the "M/MHLTA") which has governed the relationship between a landlord and a tenant who rents a mobile home space since 1977. This is a helpful website for learning about protections for the tenant and about the remedies if the protections are threatened. Washington is unique in providing a dispute resolution program that does not require the tenant to hire an attorney. Homeowners who rent space in a park are eligible for this assistance. The State Attorney General who administers this program says: “ Owners of manufactured and mobile homes who rent a space for their home in a park or community have important rights and responsibilities under the state Manufactured/Mobile Home Landlord Tenant Act (MHLTA), RCW 59.20. Landlords have rights and responsibilities under the law, too.” You can learn more here. Multiple financing sources are located in Washington, and they are dedicated to helping purchasers find the best financing option. Options are available for financing homes set on private land and in parks. Seemingly, there are even options for purchasers with less than good credit. These sources can be found on the internet. The Washington Department of Revenue has created this website to provide information on taxes. The conditions which determine the taxes are so variable that a conversation with the county assessor is the best way to get an idea of the taxes. The taxes depend not only on how the home is valued but also whether it is permanently set. The State of Washington has many benefits for purchasers of manufactured homes. 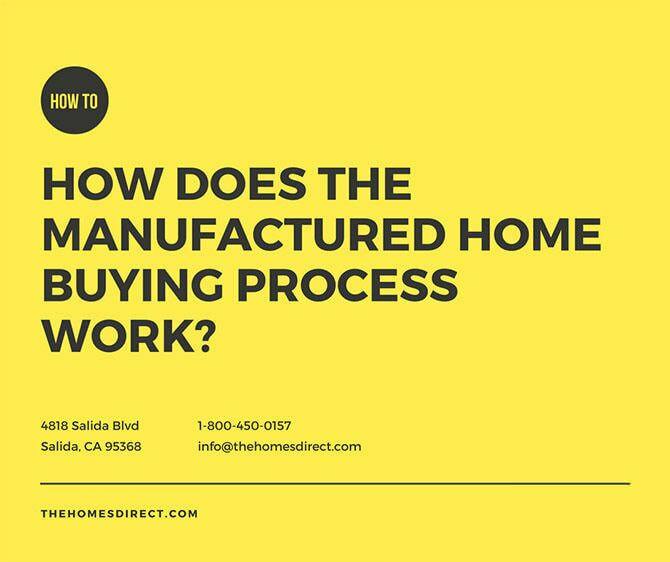 This is published by the Washington Manufactured Housing Association and The State of Washington, Office of Manufactured Housing Department of Community, Trade and Economic Development. Many questions can be answered by reading this and the phone numbers of valuable resources are also identified. One of the many benefits is Washington's dispute resolution program which is the best of any western state. If problems arise, they can be addressed effectively.